Awards Vintage 2014, Gold medal at Rioja Masters Competition, Drink Business. Vintage 2010, 86/100, ROBERT PARKER. Tasting notes Bigarreau cherry colour. Intense nose with traces of plum and black fruit compote accompanied by dark-roasted spice notes from aging in barrel. Sweet on the attack with mild tannins. Long, spiced aftertaste. Food matching With a great variety of meat dishes including roasts and game. The TORRES name has been affiliated with wine since 1870. Family pride and integrity have enabled TORRES to blend centuries-old traditions with the latest innovations to produce outstanding wines known the world over. Headed by Mr. Miguel A. Torres, TORRES has been a global force in wine with vineyards in Spain, Chile and California, and a presence in over 140 markets. 2014 & 2015, Bodegas Torres has obtained twice the first place in the ranking of the most admired wine brands in the world of the British magazine Drinks International , being the first Spanish and European winery awarded with this distinction. This award comes after also having been considered for the third consecutive year the most powerful European brand of still wine according to 'The Power 100: The world's most powerful spirits & wine brands', the annual report published by the British independent consultancy firm, Intangible Business. Moreover Mr. Miguel A. Torres was given the Wine Star Lifetime Achievement 2012 Award by the prestigious American magazine Wine Enthusiast . In September 2012, the 5th generation of the family, Miguel Torres Maczassek, took over the position of General Manager of the group. Ibericos, takes its name from the Iberian Peninsula, a land of lonely oaks and ancient vineyards. 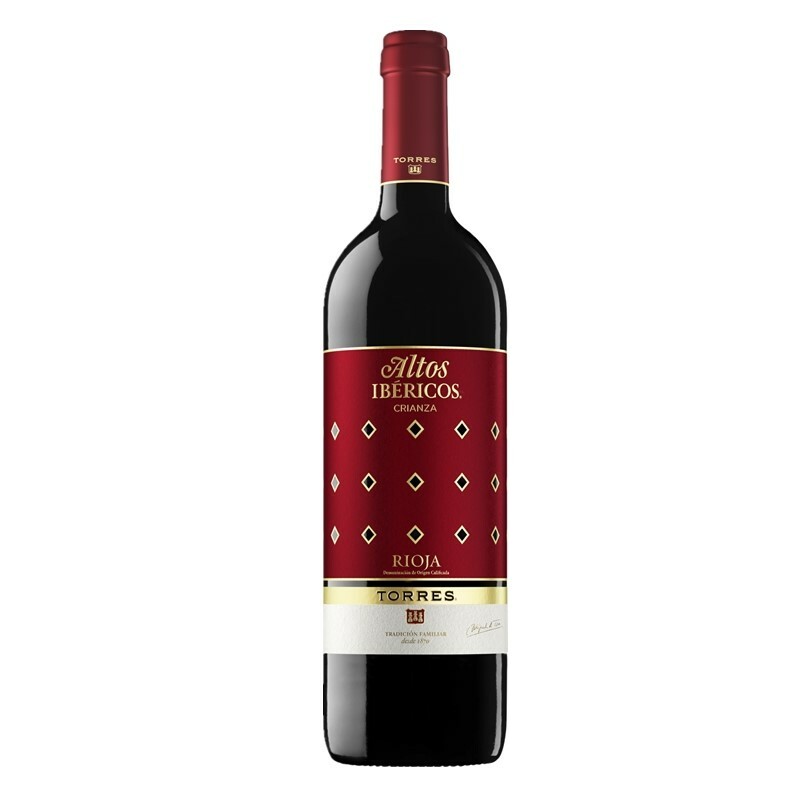 This noble wine from the Torres family, made with the tempranillo varietal, is aged for 12 months in oak barrels and for a long time in the bottle. Thus, the wine speaks to us of the land it comes from and its origins with aromas of forest fruits and spices. On the palate, it speaks to us of the passing of time, smooth, elegant and long.